for another Foodie Friday, come join the party! 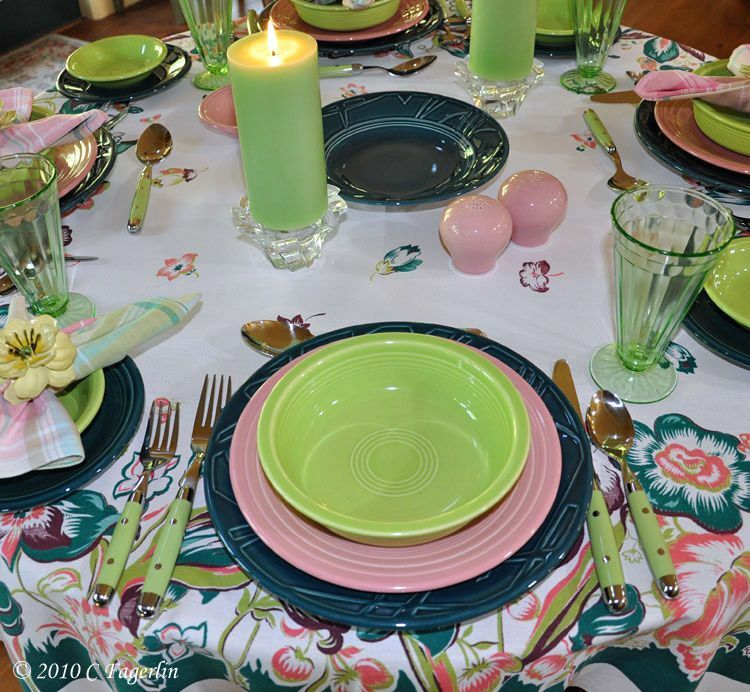 dinner plates, Post 86 Rose luncheon plates and Post 86 Chartreuse bowls. 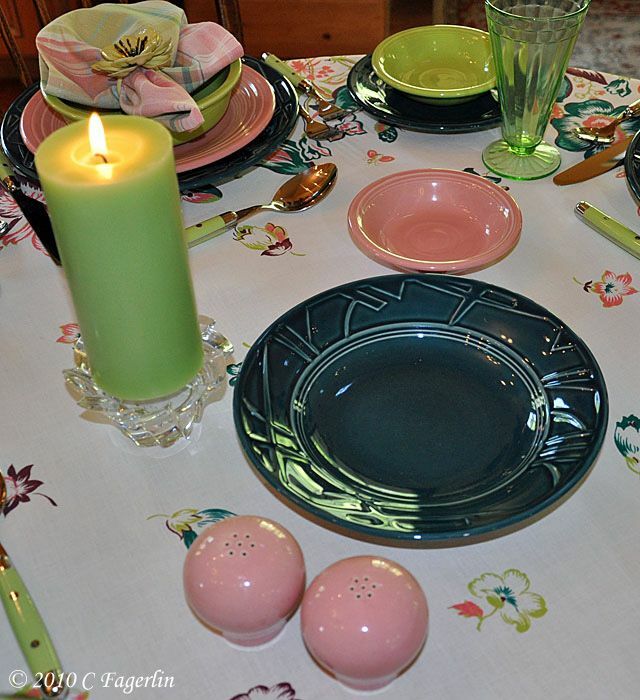 Also Juniper salad plates and small Chartreuse berry bowls with vintage glassware. Flatware and napkins from Home Goods, napkin rings from Pier 1. Simple dinner tonight, chicken strips and a small green salad! Quick and easy to prepare, very filling. mix of your choice, some chopped garlic and chives. 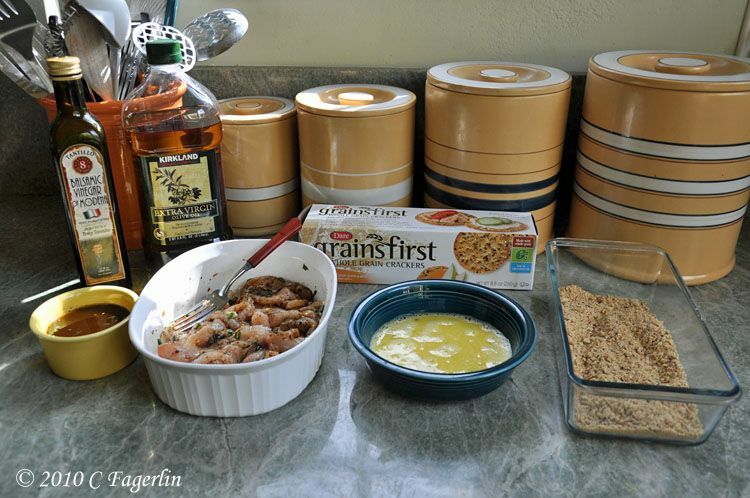 whole grain or wheat crackers, something with some flavor. a couple of minutes. The strips are so thin that they cook through very quickly. other salad dressing/dipping sauce of your choice. No finished product to show you ........ waiting for Mr. TLRT to return from his afternoon stroll! As I said, quick and easy and pretty darn tasty! Beautiful table, as always. 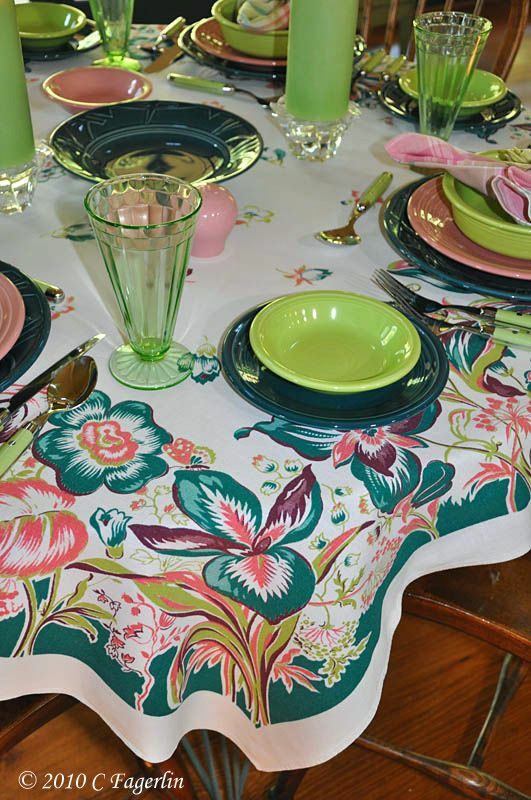 Love the vintage tablecloth. 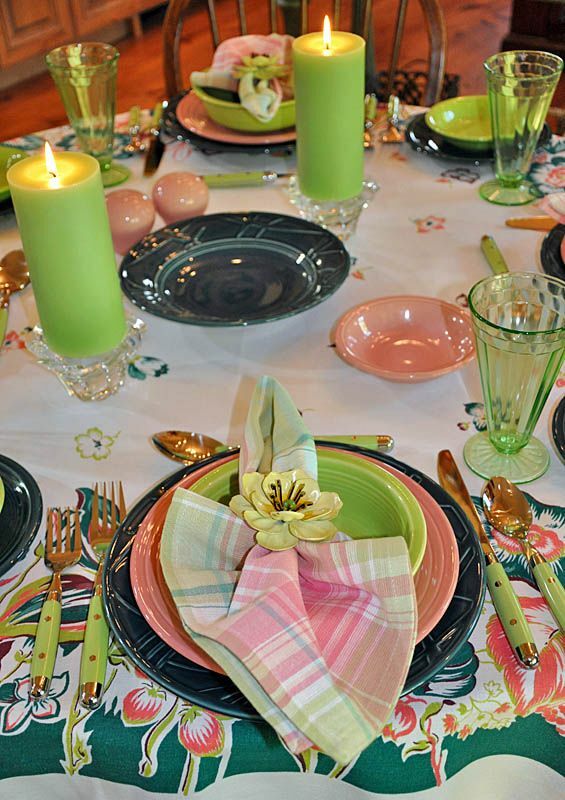 Perky, fun table colors, and the chicken looks great - enjoy! Oh, I do love your colors! Great look, no doubt! I have to say, your chicken dish looks wonderful! Candy you set a lovely table. Did you happen to get your fabulous napkin rings at Pier 1? I think I saw those and did not get them at the time, but now I really regret not taking them home. They look so pretty with your napkins. Love the flatware too! 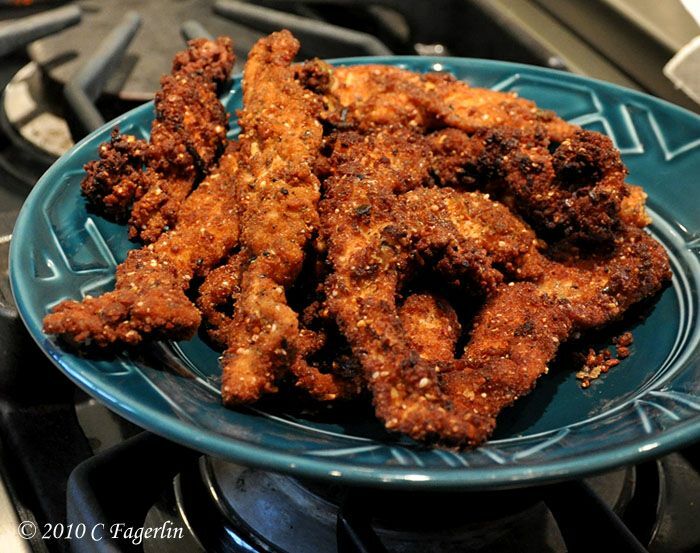 Yummy chicken strips and a mouth watering picture! 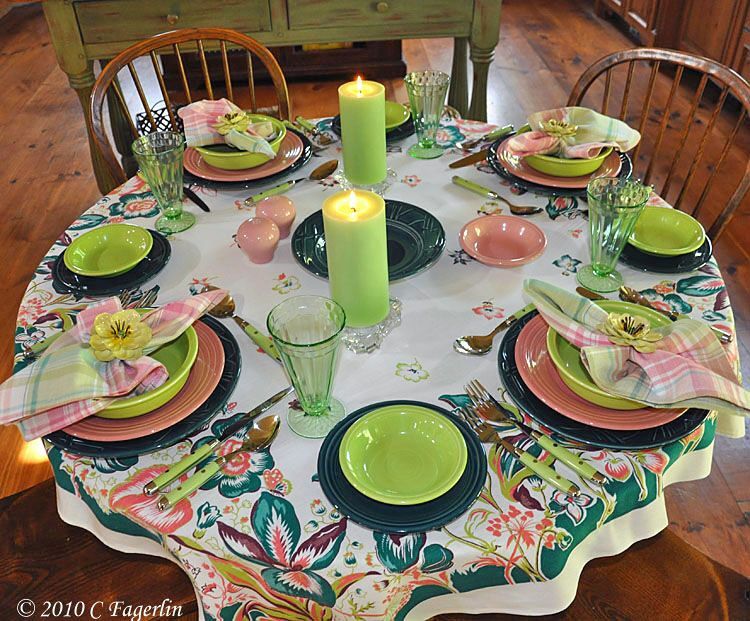 What a lovely table..so colorful. What a darling table! I love all the pink and green. And, who doesn't love chicken fingers? LOL! 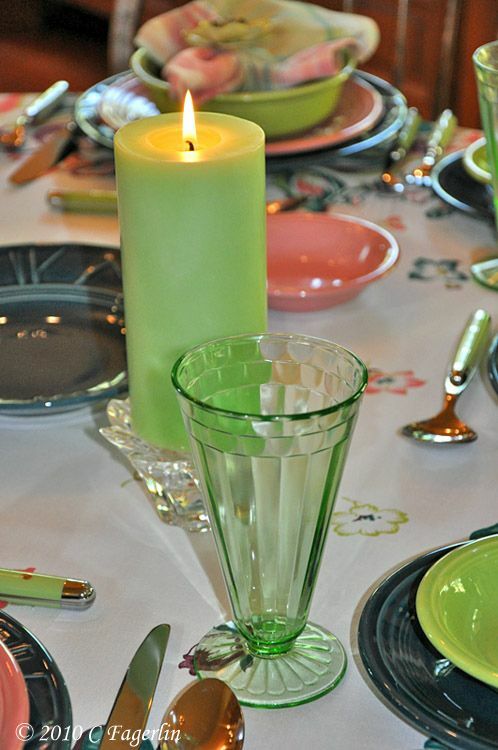 The chicken strips look delicious - and what a pretty table setting. 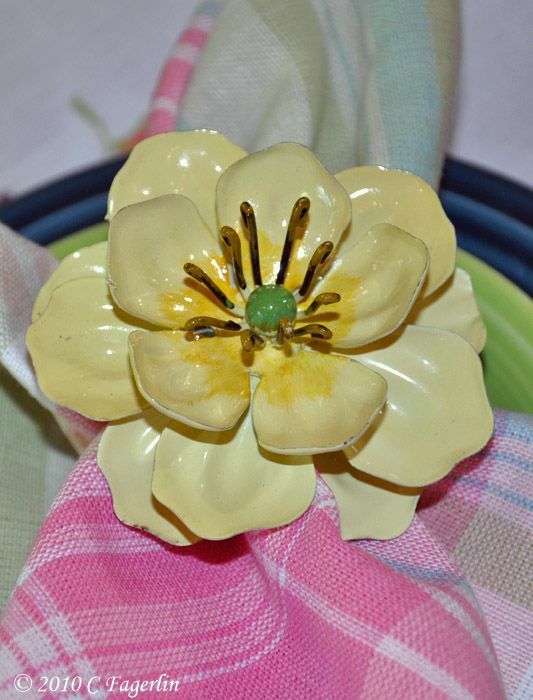 I love the flower napkin rings! As always a lovely table! I'm going to serve your chicken recipe to my husband very soon. Thank you for sharing all your beautiful Fiesta, recipes and wonderful photos with us! 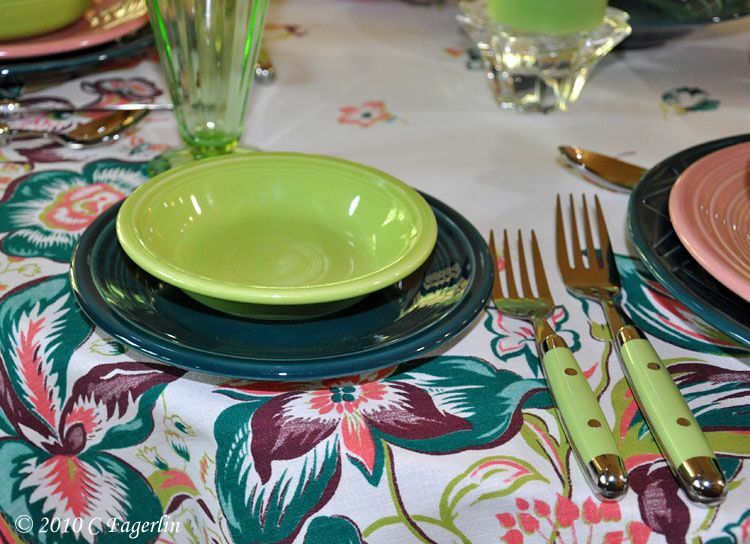 Oh my...I adore this tablescape! All of the color is perfection! 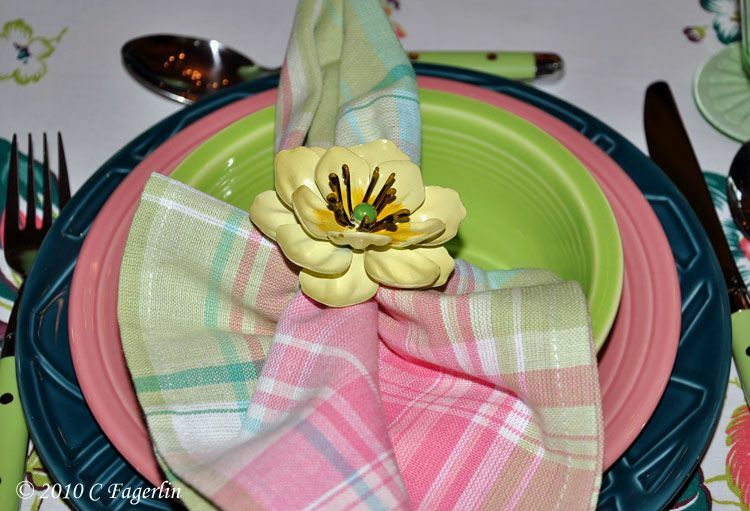 Your napkin rings are my favorite...so darling with the plaid napkins! 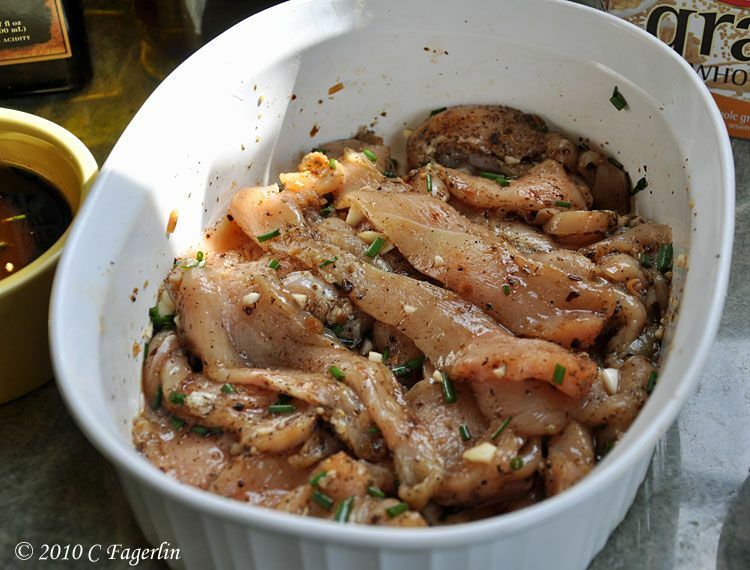 The chicken looks so yummy...I will have to give the recipe a try! Yvonne, the napkin rings came from Pier 1 back in Feb, if I remember correctly. They also came in Peach, but silly me passed on those, now I'm sorry 'cause they really are very pretty! Thanks again for stopping by and I hope to see you all again soon.